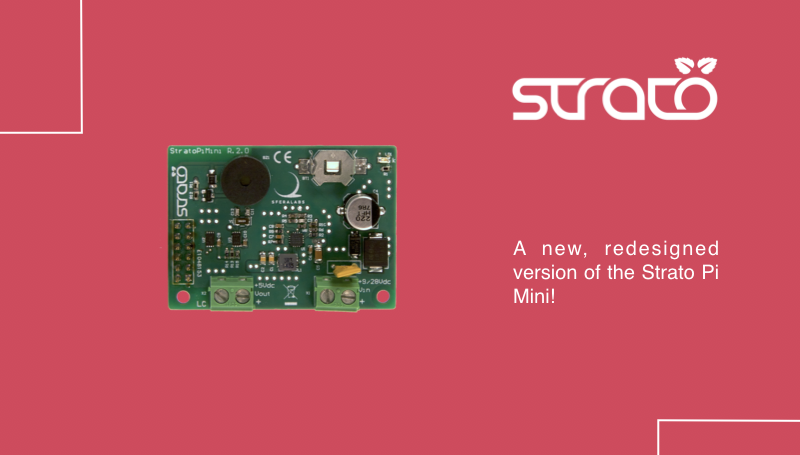 Today we are very excited to introduce a new version of our Strato Pi boards. 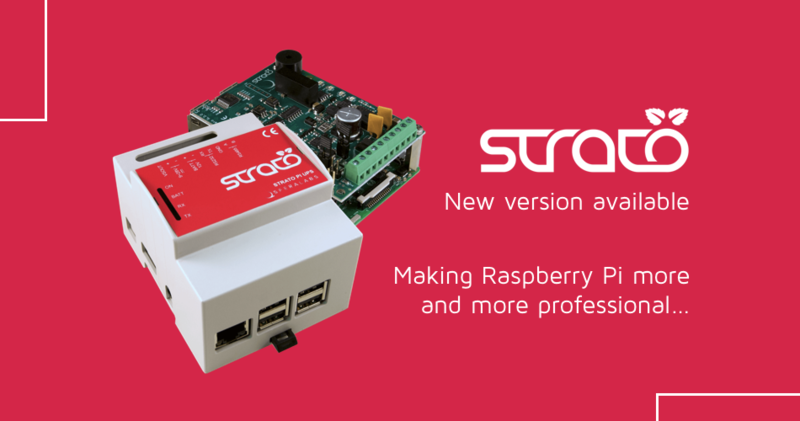 Addressing the fundamental requirements of professional applications based on the Raspberry Pi computer, Strato Pi is extremely successful among our customers. It is also a unique product with a mix of features no other device of its kind can match. But there is always room for improvement, and the introduction of Raspberry Pi 3 pushed our development team to redesign the power supply stage in order to deliver up to 50% more current than the previous version. The new power supply stage is also more efficient, and delivers a clean voltage very close to 5.00V nominal to the Raspberry Pi over a wider range of load conditions and input voltages. 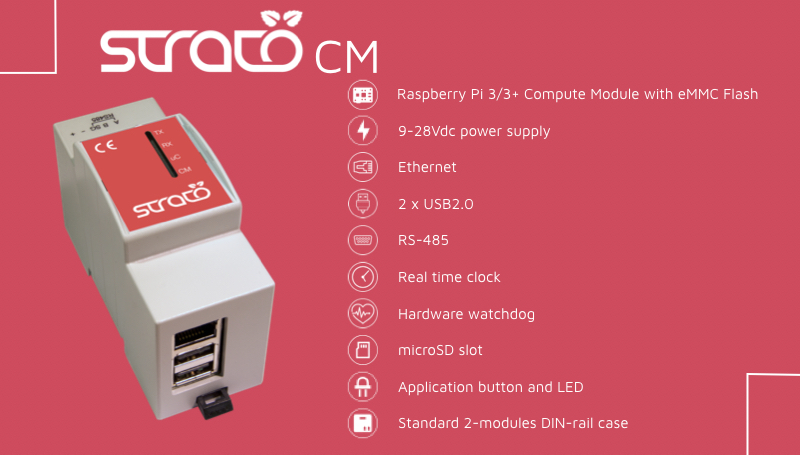 Up to 3.0A are now available for the Raspberry Pi and its accessories, so that even the most demanding software applications running on the Pi 3 will have a solid power supply to keep up with the higher current demand of the new quad-core CPU. Taking advantage of the stronger power supply, the Strato Pi UPS board gained an extra feature that many of our customers have been asking for. Strato Pi UPS now has an auxiliary power supply output, that you can use to power external devices so they will stay on, under the Strato Pi external UPS battery, even in case of a power failure. 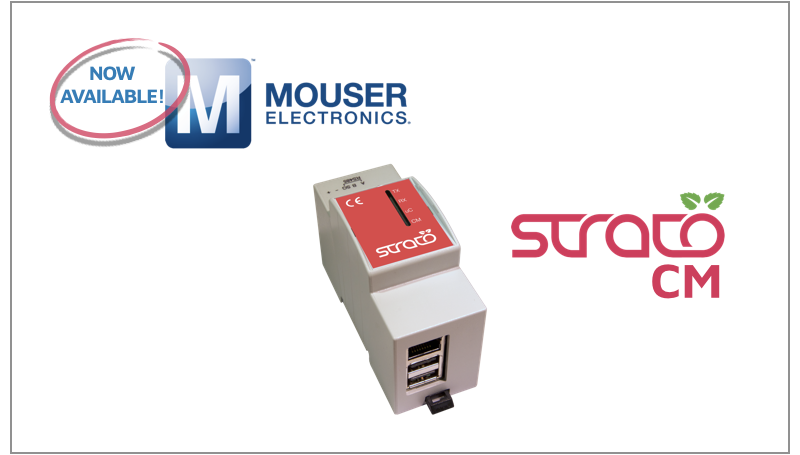 A typical application is when a Strato Pi server is used for remote, unattended systems control, using a cellular modem or router, powered by Strato Pi UPS itself, for connectivity. If the mains power fails, you will still be able to send a warning notification and, eventually, perform a clean shut-down. 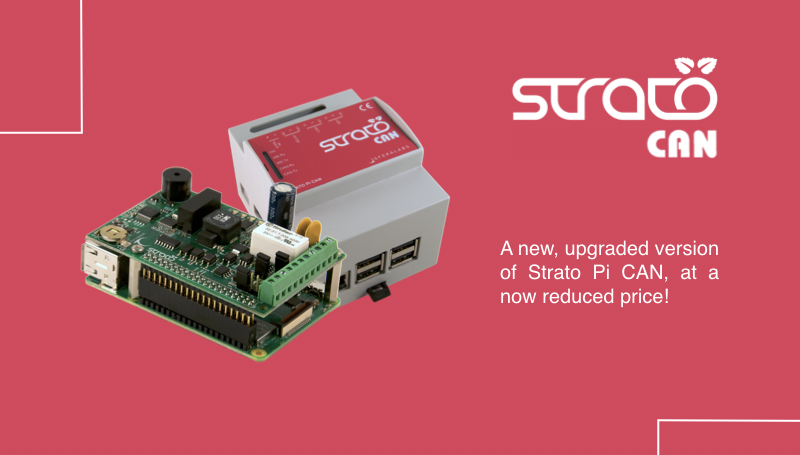 Strato Pi has allowed our customers to use the Raspberry Pi for powerful, innovative and successful applications, and the new Strato Pi Base and UPS boards, as well as the fully assembled Strato Pi server, now based on Raspberry Pi 3, offer even greater power and flexibility. 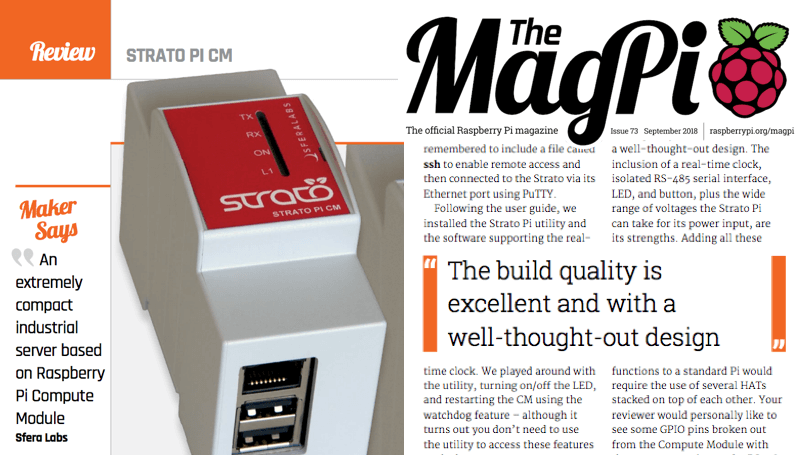 As usual, check the Strato Pi web page for the updated documentation, hardware implementation highlights, and the detailed circuit schematic.